Every night Ellie is haunted by terrifying dreams of monstrous creatures hunting her, killing her. But when Ellie meets Will, she feels on the verge of remembering something just beyond her grasp. His attention is intense and romantic, and Ellie feels like her soul has known him for centuries. On her seventeenth birthday, on a dark street at midnight, Will awakens Ellie's power, and she knows that she can fight the creatures that stalk her in the grim darkness. Ellie's role is to hunt and kill the reapers that prey on human souls. But in order to survive the dangerous and ancient battle of the angels and the Fallen, she must also hunt for the secrets of her past lives, and for truths that may be too frightening to remember. I've read this book twice now, and enjoyed it just as much--or maybe even more--the second time. Going into it at first, I have to admit I was nervous. It's no secret that this is a very full genre right now, and I so badly wanted to enjoy this one. Fortunately, I did. Courtney took angels and demons and gave them her own fresh twist, and the world building was fantastic and believable. Ellie, the MC, is strong-willed and strong in general. She has a lot going on, between finding out she's actually ancient, and has died and been reincarnated bunches of times, and being the normal teen she thought she was before she found this out. She has her moments of angst, which come at times when you would imagine a normal person would feel angst. But she always pushes past it and gets on with things. Her friends and parents felt very real. 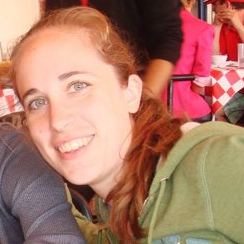 Each of her friends had their own personality, even the ones who weren't mentioned as frequently were memorable enough that I wasn't ever confused about who was who. Her parents punished her when she did things wrong, and actually noticed when she did things wrong. Her dad was an epic douche (seriously, wanted to stab him through the throat with a rusty spike) but unfortunately, some parents just are that way. There are some other supporting characters who are pretty colorful, too. My favorite is one of Will's friends, Nathaniel, who makes jokes so lame that I actually laughed at them. Will is an ideal love interest, in my opinion. I was worried when he first showed up, because he is mildly stalking her, but it winds up not being in the creepy way that some of us imagine. All the big scary things come out at night, so he leaves Ellie to herself during the day, and stays on her roof at night--out of the way unless a problem arises. He's pretty badass (I mean, he's survived 600 years fighting some pretty nasty beings, and he has a giant sword. AND tattoos) but he's also a nice person. And the ick factor of a 600 year old potentially having a relationship with a teenager is nonexistent, because Ellie's not really a teenager. It's a big book. The ARC is 453 pages. But it doesn't read like it's 453 pages; I got through it in a couple of days, despite having tons of other things to do. The fight scenes are well-described without being boring. Fight scenes aren't my thing personally, but I read them without skimming, so that says something. There is a lot more I could say about this book. I could go on for pages, but I'll leave it here. It's not out until February, but if you are into fantasy of any sort, keep this one in mind. You'll be missing out big time if you don't! Very cool. I like the new title, too. 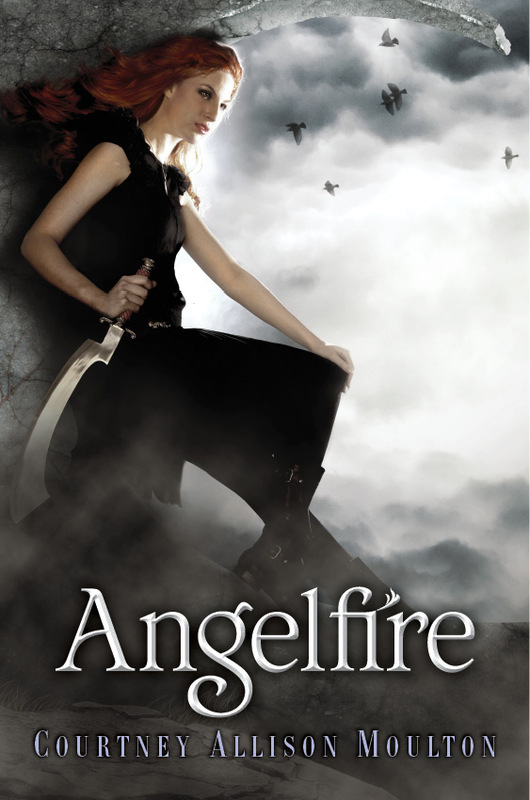 Really looking forward to Angelfire! Sounds great and has an awesome cover too. Glad you enjoyed it :). I am SO adding this one to my want pile! Thanks Kaitlin for a great review! Courtney rocks! And her book will too! I desperately want this book. I've been DYING to read it.